Some time ago I wrote an article titled how to make schoolchalk at home and sell for profit and another one titled how to make over N100,000producing and selling school chalk to schools. 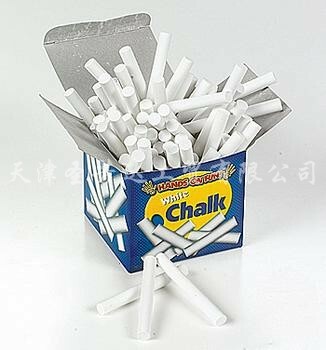 In case you have not read my two previous articles on school chalk, I suggest you click on the links and read for yourself. These two articles have been widely read and have generated a lot of buzz from people around the globe, such that I receive mails and calls almost on a daily basis making inquiries on school chalk production, i therefore decided to prepare a very comprehensive document on school chalk production. This document is called a Feasibility report. If you are really serious about starting any business at all, you need a feasibility report on that business. This report contains all you need to know about school chalk production, from production through packaging and marketing. In this report, you will get to see the type of chalk mould i recommend and why and you will also know where to get one for yourself. You will also learn my personal school chalk production formular that will help you cut down waste. I will also show you my packaging packets and how to get your own printed with your company name embedded on it at a very cheap price. You can drop your comments and suggestions below and it will be attended to as soon as possible. Please, where exactly can some one get the Mould and at what price in Nigeria? Do you know what is a virtual office? If not, then you should click yourvirtualofficelondon.co.uk to get fully informed easily.